A self-styled concerned citizen, Patriot Dickson Onah has made a passionate appeal to Nigerians not to allow vein glory seekers take advantage of the skirmishes the nation has experienced to cause disaffection between the government and the led. Onah who is a member, Faith in Nigeria, in a letter to his fellow countrymen titled, “A Clarion Call for Faith in Nigeria”, urged Nigerians to consider the strides the government of President Buhari has made to return the nation on the path of growth and not allow the flaws becloud their judgement. According to him, when supposed leaders decide to write letters to public officers enjoying the mandate of the people, the masses should also find a common ground to communicate one another since they are the proverbial ground that suffers when two elephants fight each other. “We entered the New Year on a very sad note with renewed tempo of crises in some parts of the country, particularly the herders/farmers conflicts in parts of the North”|. He regretted that the elements of opposition has taken advantage of the security breaches and are working tirelessly to create politicise the issue. 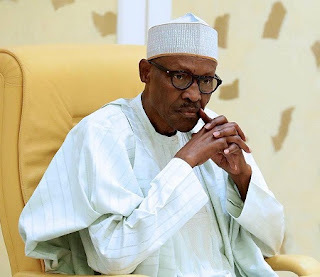 “Even on the same insecurity he is been harshly scolded, President Buhari’s battling of Boko Haram terrorists in the Northeast has received acclaims both locally and globally. They pour accolades on him for defeating the world’s most dreaded extremist’s sect, Boko Haram and halting its spread as well as other allied terrorism threats around the country. “”President Buhari has brought relief to us in multiple ways. Apart from ending the regime of mindless pilfering with public resources; he is saving in the Sovereign Wealth Fund (SWF) and Nigeria’s foreign reserves for posterity and capital projects’ like roads construction across the country and the reintroduction of rail transportation by the revival of the railways supervised by Minister of Transport, Hon. Rotimi Amaechi”. A Clarion Call For Faith in Nigeria. I salute you in the New Year and wish all the people of Nigeria, especially, the poor and vulnerable masses, God’s blessings. Life is full of vagaries, but the strong-willed shall always wither the storm. No doubt, we entered the New Year on a very sad note with renewed tempo of crises in some parts of the country, particularly the herders/farmers conflicts in parts of the North. There has been loss of precious lives, destructions to properties, displacements of indigenous populations and terrifying dislocation of social and communal existence in once peaceful communities. We mourn with the bereaved and victims of these crises in Benue, Adamawa, Nasarawa, Plateau, Zamfara, Southern Kaduna and Taraba states among others. We feel the exactitude of the pains and the unbearable hardships imposed on everyone, including the families of the victims. At such difficult times, there is every reason to talk to ourselves, reason together and act in unison, to inspire the patriotic spirit in us to weaken and cripple the common enemy of our people and the nation. This is certainly not the time to speak in discordant voices or hurl vituperations at our leaders or ourselves. It would rather widen the cracks and do us more harm. The leaders need our support and prayers now more than ever to overcome these challenges of nation-building. Let it not be lost on any mind and soul that nations of the world face these difficult times at intervals. But they do not last forever. They emerge stronger and more focused. The case of Israel is apt. The collective efforts by leaders and backed by the citizenry have always surmounted these challenges. We all wish to have peace in our homes, communities and villages. We need peace in our places of works and worship centres. Any such disruption has far-reaching consequences. But we also know that there are people among us who feel we don’t deserve the peace or right to life. We should resolve not to dance to their macabre dance anymore. Let’s reject them and their satanic proposals. Let’s cover their faces with mud and ask them to go and spit in hell, but not on the throne of our ancestors. Our dear President Muhammadu Buhari has found himself in these unfortunate circumstances. He is one Nigerian leader who has the country at heart. But all over the world, leaders have supporters and friends as well as enemies or foes. The political enemies rather dig pitfalls for him to exploit its outcomes in furthering their personal political nests. This is the time we need to be watchful, prayerful, conscious and alert. Or else, we are bound to be misled by the antics and machinations of evil opponents who are after plunging us into deep mess. We can attest that some reactions to the prevailing crisis in Nigeria are tailored towards politics and the struggle for the political soul of Nigeria in 2019. The opposing camps are singing melodies of destruction and evil against President Buhari in order to oust him out of power and reverse the gains of democracy under his watch in the last two years. The masses of Nigeria must stand firm to resist such unholy interference from these political hawks and power mongers, who see nothing good in the leadership of others except themselves, but offer little or nothing when they are honoured with the privilege to serve. The simmering crises around the country are regrettable and efforts are being made by the Presidency to contain it. Every leader has shortcomings. And that one problem could not be solved expeditiously or dexterously should not constitute blanket condemnation and nullification of a leadership. Every day, new experiences, teach fresh lessons’. There is certitude that Nigeria will again emerge from these crisis triumphantly. Even on the same insecurity he is been harshly scolded, President Buhari’s battling of Boko Haram terrorists in the Northeast has received acclaims both locally and globally. They pour accolades on him for defeating the world’s most dreaded extremist’s sect, Boko Haram and halting its spread as well as other allied terrorism threats around the country. President Buhari has brought relief to us in multiple ways. Apart from ending the regime of mindless pilfering with public resources; he is saving in the Sovereign Wealth Fund (SWF) and Nigeria’s foreign reserves for posterity and capital projects’ like roads construction across the country and the reintroduction of rail transportation by the revival of the railways supervised by Minister of Transport, Hon. Rotimi Amaechi. His administration has impacted numerously. The N-Power jobs are putting smiles on the faces of families and power generation has appreciated to over 7,000 megawatts from the 2,300 megawatts of national grid by May 2015. This was after successive governments, including the one headed by the letter-writer, squandered billions of dollars to fix electricity, but no positive results for 16 years. Look at his anti-corruption war. He has recovered looted commonwealth in quantums, no single leader of Nigeria has ever approximated since the establishment of the EFCC. Even though corruption is fighting back to regain its position of prominence in public affairs, but he has remained undaunted. Corruption is rightly the greatest enemy of Nigeria. And owe Buhari moral obligation to support him scuttle monster to a standstill. We can only sufficiently appreciate the forces massed against President Buhari for blocking all sources of revenue leakages and corrupt acts of public officials. But now they make a mountain out of a molehill when they hear about the embezzlement of N200 million. But we all are living witnesses to the jamboree or the free feasting on national resources during the period these veiled forces held forth at Aso Villa. But today, they are claiming better knowledge. However, before their watchful eyes, the likes of Sen. Stella Oduah alone, as Aviation Minister could loot far more than this amount by a government midwifed by former President Olusegun Obasanjo. When his protégé Femi Fani Kayode is grilled for embezzlement of public funds, he does not even feel remorseful. This is the time to stand up for President Buhari. We cannot afford to sacrifice him to these vermin in power. We must look at the Nigerian Project and interest as larger as and bigger than any individual. We should not hesitate to troop out en masse to demonstrate our support for Mr. President, anytime, it is necessary. The battle line has been drawn between light and darkness and the die is cast. We must insist in our actions and support that President Buhari must continue beyond 2019 to lead Nigeria to the Promise land. We should say No and reject any Coalition to backwardness, proposed by any self-cantered leader, who oppressed and enslaved us for the 16 years of the PDP’s misrule. This is a clarion call for us to rise up in defence of our democracy against retrogressive forces before they return us to another phase of an inglorious history. The clock is fast ticking and its 2018 already and the best time that the hawks usually come out to perfect our backwardness. Let’s avoid them like plaques. Let’s tell them in clear dictions that #WeStandWithNigeria and cannot go back again to the dungeon of darkness. #WeStandWithBuhari because of our implicit confidence in him to resolve all the emerging problems orchestrated by these masked forces and the latter-day prophets of doom. Disillusionment is not the solution now, but positive thoughts and actions. Once again, I appreciate your patience, endurance and support to these twin projects- standing to be counted for Nigeria and the Buhari Presidency.